When reading the following champion description please keep in mind that this champion has three forms. To get an idea of what the forms are when reading his abilities, read his W ability description first. Additionally this champion has no mana or energy rather his abilities cost health. This works from a lore point of view since it’s Euler’s spirit that is the source of amulet’s power, and mechanically as it helps offset his passive ability. 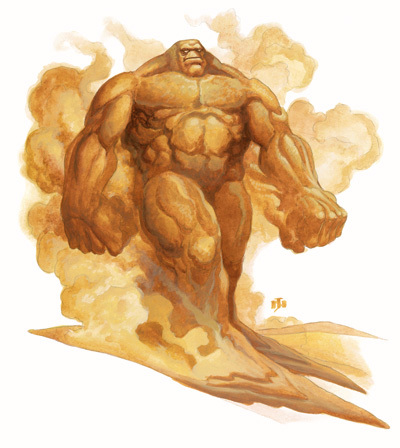 A hulking humanoid figure, The Golem is a mountain of perfectly muscled sand standing several heads taller than any man. On its neck a pulsing amulet, an ancient artifact, a vessel containing the essence of a spirit. Euler’s spirit. The source of the amulets power. I do not own this image, it was taken from this website. I do not own this image, it has been adapted from its original posting here. The primary colors of the amulet are obsidian black, with gold lining that traces the outlines of the amulet’s key features. 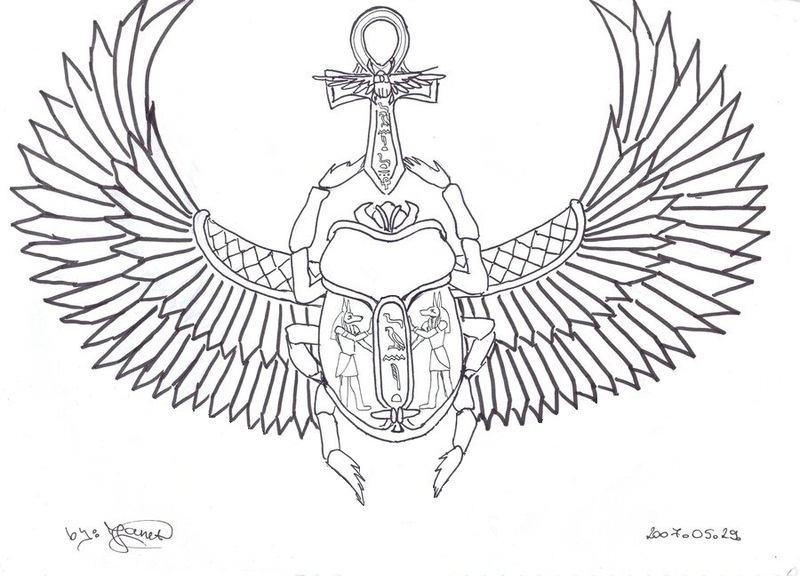 Namely the ankh and its patterns, as well the scarabs body, wings and its patterns. The amulet’s major chain would follow the design of the scarabs wings. The major chain would be made up of two minor chains, one for each wing of the scarab. Each link of the chain would be a single part of a scarabs wing. Once the two minor links are connected they would form a chain of two complete connecting wings, the links mechanically functioning in the same manner as the links of watches metal strap. The amulets head is the scarab, its body a golden lined ruby the size of a mans head. From within the ruby onlookers would behold brilliant rays of gold and white through the carvings on the ruby’s face.